Last week I’ve been to Japan to waste my vacation. Stayed in� Honjin Hiranoya Kachoan (本阵平野屋花兆庵酒店) and enjoyed the leisure. 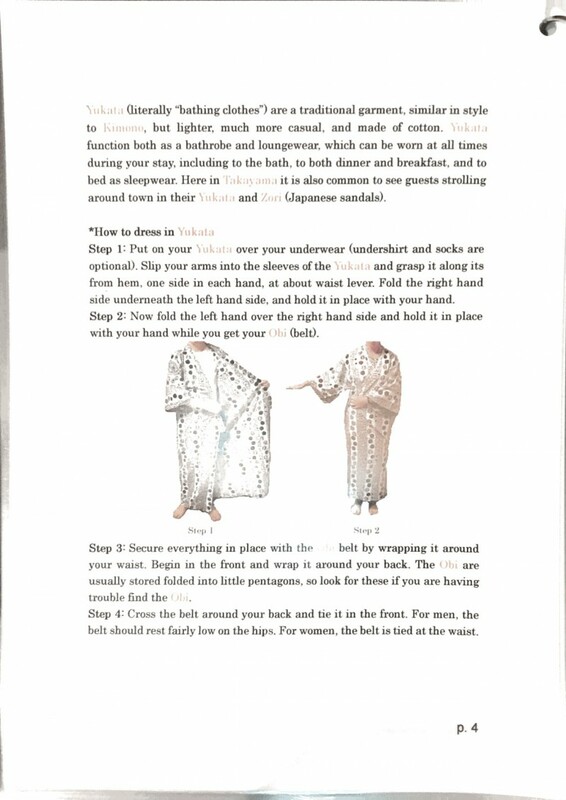 The one of most worth-trying thing in japan surely is onsen bath, but I never learned how to wear the japanese traditional cloth. 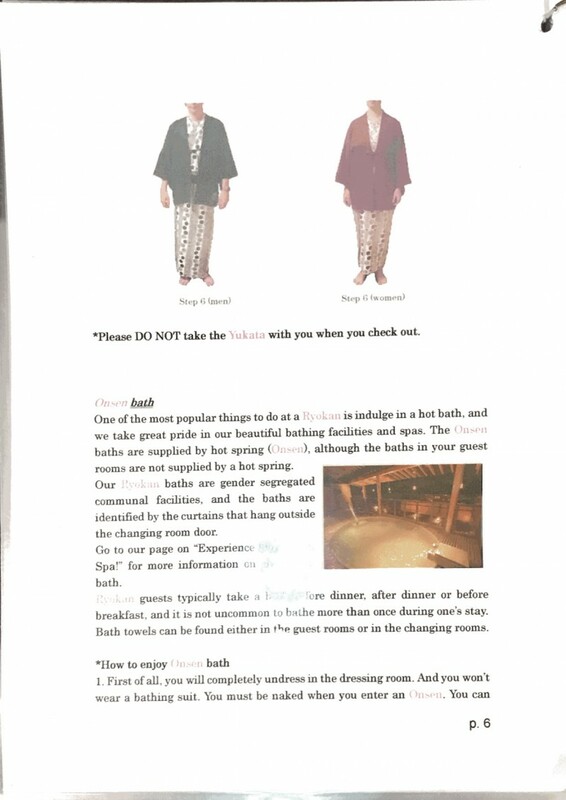 This time lucky the hotel provided a english manual to guide me wear the Yukata (less form compare to the kimono). 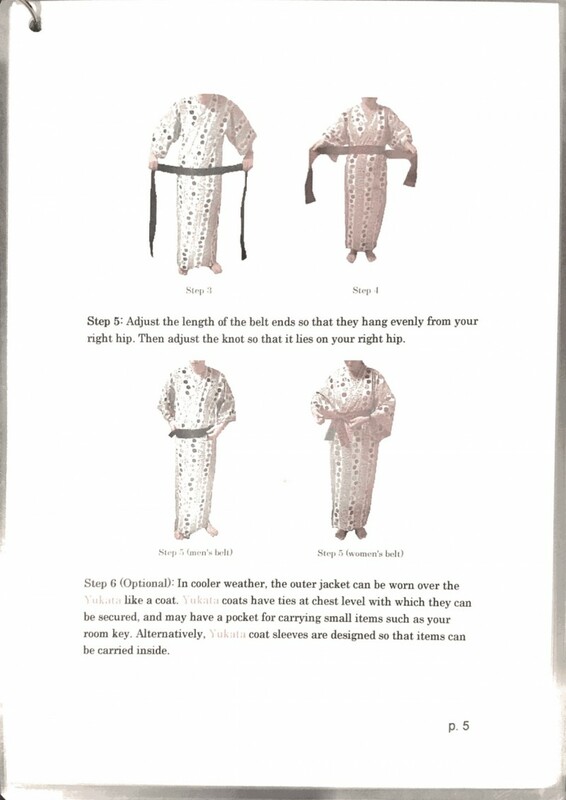 For next time preparation, I took a copy of it and would like to show you gays.